The MINI-KIMI is an RPD that provides short-term respiratory protection in toxic atmospheres, allowing enough time for the user to evacuate any hazardous situation. The mask’s construction strikes a balance between portability and protection from a wide variety of toxic gases and aerosols released in fires and chemical spills. Burning synthetics start emitting hazardous materials at relatively low temperatures, these materials can cause incapacitation well before the fire reaches temperatures that release CO, and make escape impossible. The MINI-KIMI has been designed with this danger in mind. 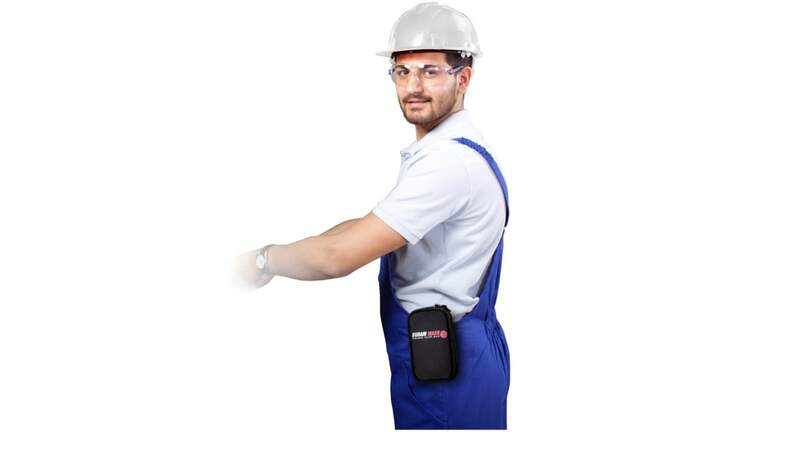 Unlike the heavier and bulkier products designed mainly against CO inhalation, the MINI-KIMI’s ultra-compact form factor allows the device to be carried comfortably in the pocket of a work uniform throughout the workday, making it instantly accessible in an emergency. The “hood” design also simplifies and accelerates the donning procedure, allowing immediate protection and use by people with long hair, facial hair and eyeglasses.